Getting on top of your cleaning schedule and making sure you have completed all the tasks that you need completing isn’t always easy. Therefore, creating a schedule that works for you is important, it needs to meet your needs, it needs to meet your standard of cleanliness, yes there are differences in the amount of cleaning people need to do. Getting to grips with a cleaning schedule that meets your needs will mean some trial and error; if your circumstances change, it can affect your cleaning schedule too. If you intend to put a cleaning schedule together the most important task is to know the jobs that you need doing over the course of the week, or if you are planning to do all the jobs in one session, knowing what you want done can help you wasting time when you need to start work. List all the jobs that get completed within one week at your home, or all the jobs you would like to complete and for some reason that just aren’t done because of all the other daily life things, which get in the way. 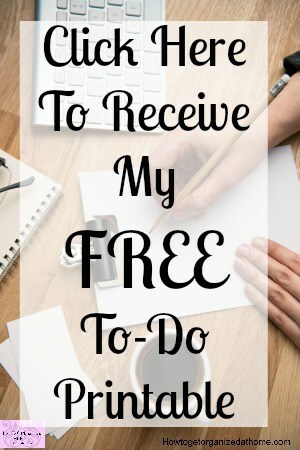 List tasks that you want to complete over the month on a separate list, this is because you have the month to complete these chores and you need to spread them out accordingly. Before you can begin to work out your schedule as to when tasks need completing, you need to know who is going to help. If you live on your own then obviously, the tasks will fall solely on your shoulders, unless you have a cleaner come in and clean for you. However, if you live with other people then it is only fair that others share in the household chores, teaching children that the cleaning doesn’t happen by magic is an important lesson in life they need to learn. It’s a personal choice and dependant on your children’s ages as to whether you schedule in time for them to do their chores or if you allow them to choose the timing. If they are young and at home a lot with you, it is a fun-filled 30 minutes to get chores completed and can save time later. Before you schedule in time to do your cleaning, it is a good idea to know your calendar, know how you feel at certain points in the day. If you are not a morning person, scheduling tasks at this point could lead to failure, if you work better in the evenings then this is fine, do your schedule then. My kids learnt to sleep with me vacuuming when they went to bed. It means that they are still able to sleep in very late even if I vacuum directly outside their bedroom door, this does have its down side when you are looking at being noisy to wake them up! If you get worried about creating the perfect cleaning schedule then stop, there isn’t one that sometimes doesn’t need tweaking as life gets in the way. The more you work at the plan and try to stick to it as much as possible the easier it is to manage. There is no set way that you have to clean, and your cleaning schedule might be more detailed than another person, or have less on it, it doesn’t matter as long as you and your family are happy and your home gets cleaned regularly. There are no rules as to how you need to clean, choose a schedule that suits the needs of your family at the current time. I’m visiting you from #FellowshipFridays. Your title caught my eye because a schedule or routine is definitely something I need for cleaning. My style is haphazard, and I think routines definitely reduce stress when we make realistic plans and stick to them. Thanks! Thank you for this! I have a cleaning schedule but i know it’s not working because i am having trouble sticking to it lol. I have to change things around every couple of months, it just stops working or circumstances change! 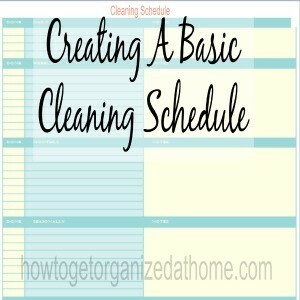 Sharon, I agree that keeping a routine and schedule are so important to keping a home clean and organized. I try to write out what needs to be done weekly and then I check it off when I am done. It is so fulfulling to have a clean home and lots of checks! Thank you for linking up at Snickerdoodle Sunday! Hope to see you next week! In my mind I have a schedule, but things always seem to get in the way! I write things down and love crossing them off when done, but I need motivation!